Best Used For: Landing Fish! The Test: Fishing on SUPs has been going on for years, but there were never any purpose-made paddle boards for it until now. Hobie saw the opening in the market and launched the inflatable Sportsman back in 2014 and has been working diligently to perfect it. The board is 38 inches wide, and holds 300 liters of air volume. This board is designed to help you land big fish like a 20-pound striper. It has many D-ring tie-downs so you can tie down a cooler (for fish of course) and anything else you might want. You can also add rod holders using Ram Mount’s mounting pads. It has a heavy-duty PVC construction as well as skid plates under the two outer chambers that help protect the board for landings on the beach. The board does come with a three-piece paddle. Back Pack sold separately. The Verdict: Real fish slayer. Best Used For: Touring Board! Paddle, and a SUP repair kit. The Verdict: Great for beginners and travel. Best Used For: Adventure and speed! The Test: Now I can’t write about Hobie boards without including the Mirage Eclipse. 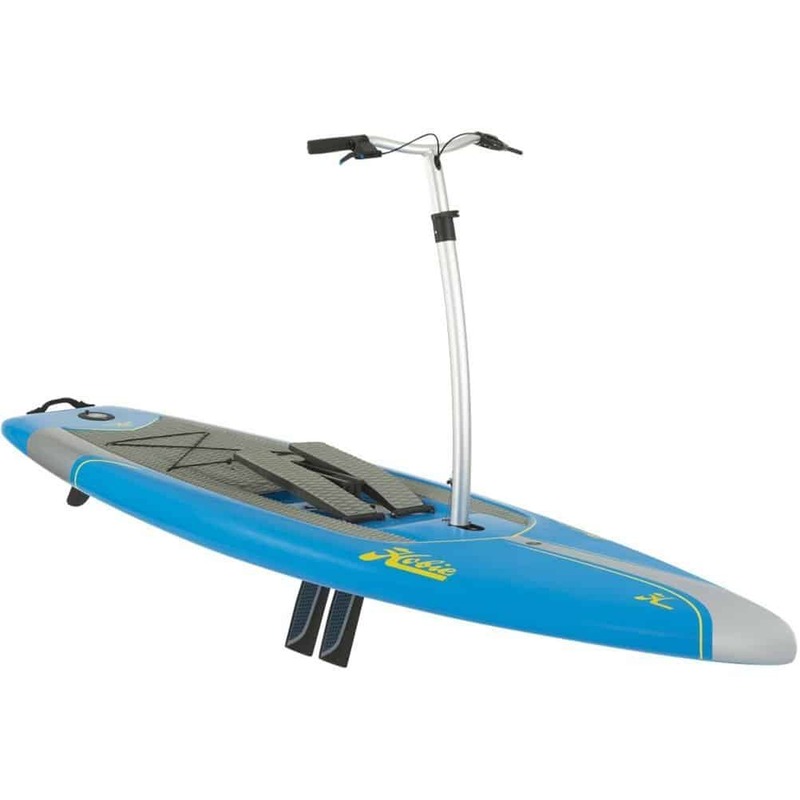 Even though this is sort of not a paddle board (it is a stand up pedal board) It can still be used as a paddle board by removing the handle bars and fin system. People do use it this way, so we will include it here. Not to mention it is just awesome. Now if you can get past the sticker shock, you will see the great board that this is. It is 10′ 6″ and 33.5″ wide. The bars and drive system are easily removable so you can transport it just like a normal paddle board. Apparently people are coming out with different fins for higher performance as well. 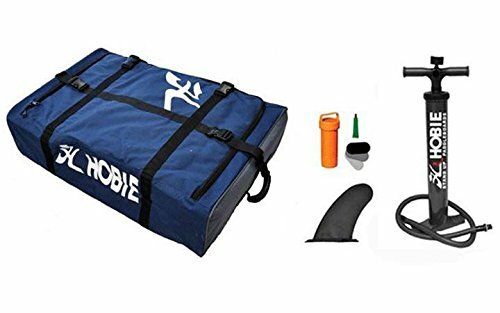 We have a great review on the Hobie Mirage Eclipse here if you would like to read it and watch the videos included. In the videos, you can see some of the speed you can get with this and how easy it is to operate. One of the most popular boards on the market today is the Hobie Mirage Eclipse Stand Up Pedal Board. 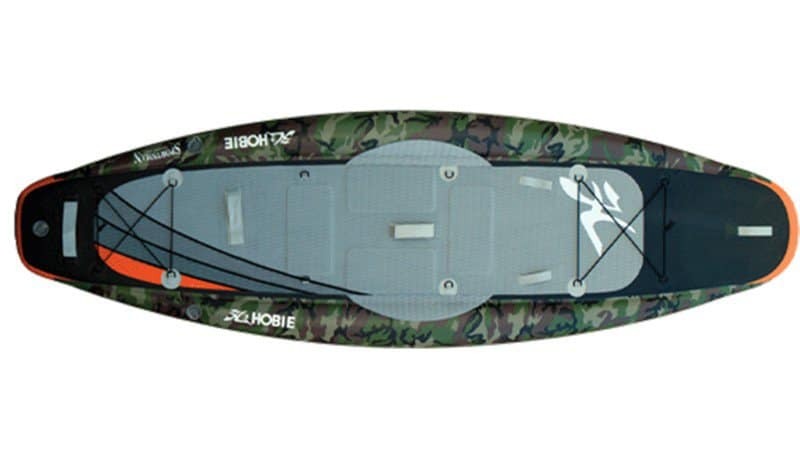 With their patented pedal drive system, Hobie has taken sup boards to a whole new level. 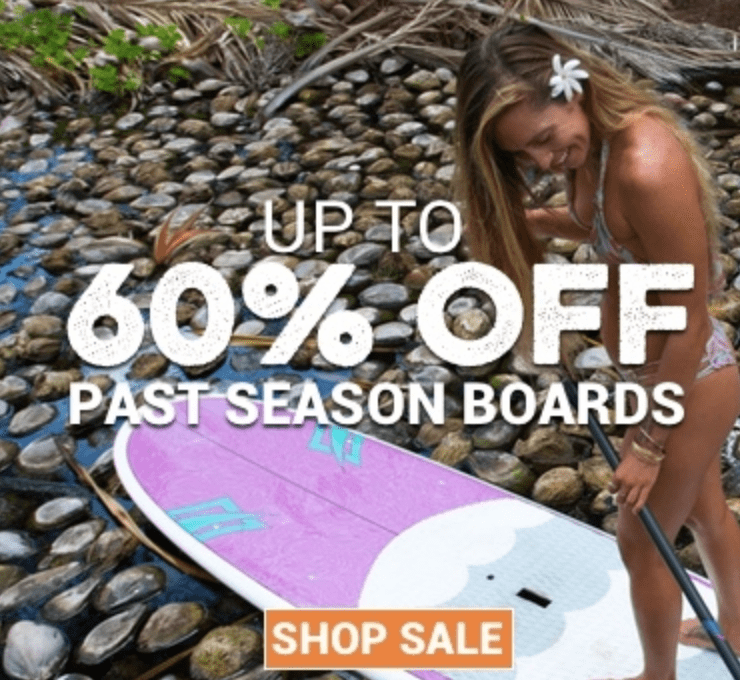 The price is a little painful for the average enthusiast, but for a true SUP fitness enthusiast, these are a breath of fresh air and a whole new territory to venture into. Standup paddle boards have come a long way from the beginning and will continue to evolve. I look forward to the new designs and ideas Hobie SUP comes out with in the future. 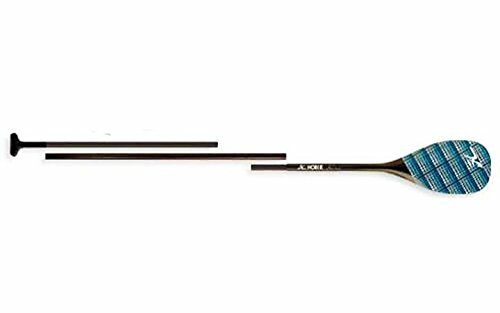 Thanks for reading and be sure to visit our blog to read about other stand up paddle boards we review.